Let’s take a look at four eateries you may want to look into when you pay a visit to The Crescent City. The first is called TWELVE MILE LIMIT and is located at 500 S. Telemachus Street. Another write-up described Twelve Mile Limit as a “funky hipster bar with a dive vibe and comfort food. Be sure to try the doberge cake.” Stop right now: this is about the sixth time I’ve seen this cake mentioned and I still don’t have the slightest idea what it is. Here’s a pretty good description: it’s based on the Hungarian Dobos torte (pronounced DO-BASH). It was developed in New Orleans and is now a staple throughout Louisiana. One enthusiast described it this way: it’s a multi-layered cake with pastry cream inside and a poured glaze on the outside. Traditional flavors are chocolate, lemon and caramel. I’m salivating as I’m typing this. I also laughed when I read the name of one of their drinks. It’s called “Charlie Don’t Surf” which is the famous line said by Robert Duvall in the movie Apocalypse Now by Francis Ford Coppola. Oh yes, Monday they serve free dinners – usually a poor man’s meal: red beans and rice. In the past, Monday was washday so a pot of red beans would go on the stove with the hambone from Sunday’s dinner. By the time the wash was finished, dinner was ready. Now, let’s move on to MID-CITY ROCK ‘N’ BOWL, located at 3000 S. Carrollton Avenue. 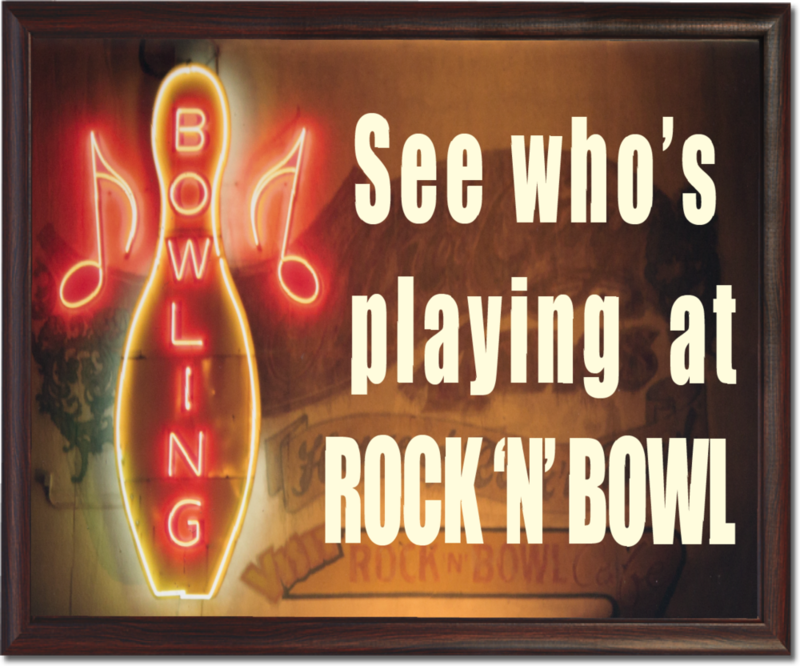 There is no other place in New Orleans (or elsewhere) quite like Rock ‘n’ Bowl. It has: #1 bowling lanes with a bar, #2 Creole-inspired eats, #3 live music by local legends and #4 a dance floor – what a mix! But it all adds up to a lotta fun. Now it’s time to look at a very good lunch spot. LIL’ DIZZY’S CAFÉ is at 1500 Esplanade Avenue (just two blocks from Rathbone Mansions) and is described as a no-frills joint for soul-food breakfasts and lunches. One recent diner notes, “This place is known for its buffet which includes fried chicken (crispy, moist and just right), cornbread, collard greens, red beans and rice, seafood gumbo and a really delicious banana bread pudding.” Lil’ Dizzy’s makes everything in-house. And now we’re on to our last eatery, which is CAJUN SEAFOOD that you’ll find at 1479 N. Claiborne Avenue. This place is basically a grocery store takeout spot. It’s known as a casual place with no service but great food. Or, as one satisfied customer relates, “The snow crabs were delicious, crawfish was perfectly seasoned – but my absolute favorite were the fried chicken wings. There may be a night when you’d rather pick up something delicious and bring it back to Rathbone – this little joint just may be the place for you.